WHAT: The same place that brought you classes like, “Mind Your Manners” with a noted tea sommelier and etiquette expert, the Boston Center for Adult Education’s (BCAE) Bean City Kids program is continuing the popular monthly series of interactive kids’ celebrity chef classes! Previous SOLD OUT celebrity chef classes have included reality TV show stars Andy Husbands of Tremont 647, Jason Santos of Blue Inc., and Jose Duarte of Taranta. 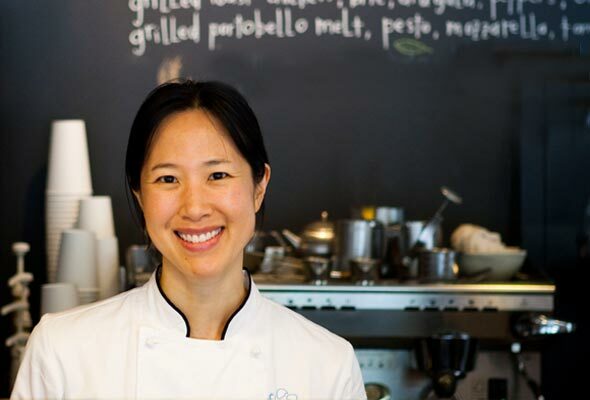 On Monday, April 23rd, 2012 from 3:30PM to 4:30PM, kids will have the opportunity to tap into their creative side, working spoon to spoon with celebrity chef Joanne Chang of Flour Bakery and Myers and Chang in the BCAE state-of-the-art-kitchen facilities. The interactive cooking classes are hands-on, allowing kids to explore a whole new world of food appreciation while learning the tricks of the trade. They will take part in the cooking process from start to finish, building confidence and pride in the dishes they’ve created. At the end of the session the group will sit down with Chef Chang and enjoy the fruits of their labor. Conveniently scheduled after school, the classes are perfect for children six to nine years of age! The themes & items prepared vary from month to month. All classes will involve two dishes that are both prepared by Chef Chang and students. All classes are nut-free. There MUST be a parent/caregiver present during class who is responsible for each child (no more than 3 kids per adult). Child’s registration fee covers caregiver. Don’t miss this unique opportunity to sift and mix with Chef Joanne Chang! ADDITIONAL: Suitable for children 6-9 years of age. Completely nut-free. Children must be supervised by a parent or a caregiver. Thanks for sharing this wonderful news! It is best for kids to join this cooking class to be able for them to know more about cooking. And for sure they can develop their skills too! With this best Chef in town? Who wouldn’t. I know!! How lucky are we to have a celebrity chef willing to teach kids?! Oh i love to learn cooking and love eating. Sometimes I watch the Australia’s Junior Master Chef and the kids there seems to be so old that they can cook anything in their young age. For sure they can’t do that without any help of Chef like you. So keep that heroic thing you love. Love this post! i’m so excited to enroll my son in a cooking school this summer, to develop his ability to cook. Thanks for sharing this to us and i’m looking forward to read from you! Thank you so much! So exciting that a celebrity chef would teach a cooking class for kids! Chef’s are these people who cook, cook with love and passion. I am so amaze by you because you just don’t cook, but you share your talent with those kids. Making them the best, and teaching them that it’s not all about cooking. But it’s the will to make everybody around you happy and worth living with what they receive everyday. It is wonderful that she is sharing her talent and passion for cooking with kids! And to think that she’s a celebrity on top of that!